Although Nekki's Shadow Fight has a history that started back in 2011, Shadow Fight 3 is only one year old. This action-RPG fighting game is available for iOS and Android devices, supports 11 languages, and works great on mid-range hardware while providing a realistic visual experience at the same time. 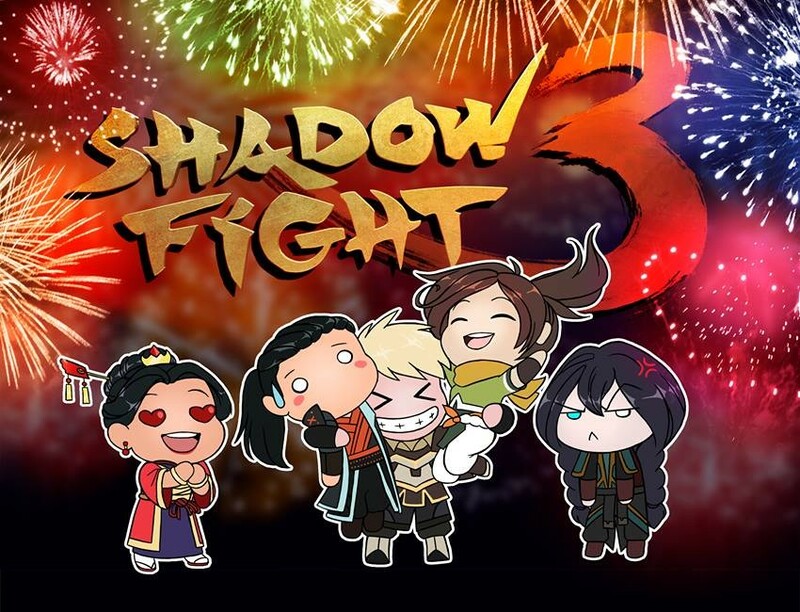 Shadow Fight's story started back in early 2011 when Nekki launched this title as a Facebook-based fighting game with both single-player and multiplayer modes and support for 7 languages. Shadow Fight 2 was unleashed worldwide — for both iOS and Android — on May 1, 2014, but recently it was also ported to the Nintendo Switch (mid-September 2018). Back in late January 2015, Shadow Fight 2 was also released on Windows 8 and 8.1. Shadow Fight 3 was announced in April 2016 and its worldwide release took place on November 16, 2017. Now, the time to celebrate is here. Since birthdays usually come with gifts, the Shadow Fight 3 team decided to double the currency reward for duels, fights, events, and the opening of chests. Obviously, nothing lasts forever, so those who want to take advantage of this deal should go ahead and jump into the fight because the bonuses mentioned above will only be available during this weekend. There is no need to tell you about the (quite captivating) story going on beneath the fighting game shell, but you need to know one thing: if you are using BitDefender on your Android device and you get a virus warning for Shadow Fight 3, don't worry about it — it's a false positive detection, nothing more. Sometimes, you might feel that Shadow Fight 3 takes the freemium concept a bit too much into the "annoying as hell" realm, but the overall gaming experience it provides is definitely worth it. Are you one of the many people still playing Shadow Fight 3 one year after its introduction? Feel free to share your experience with us in the comments, but this title sounds new to you and you enjoy mobile fighting games, then you definitely need to take it for a spin.